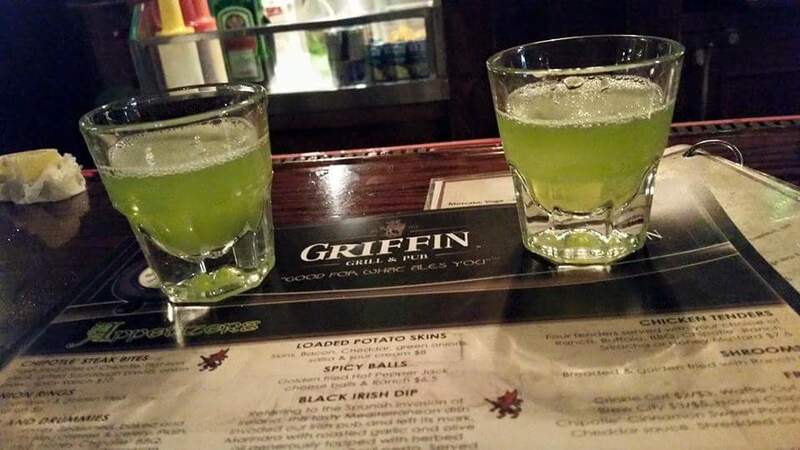 Located in Battle Creek, Griffin Grill & Pub is a purveyor of Irish American dining from inspired Flavour Engineer Paul Conkey. 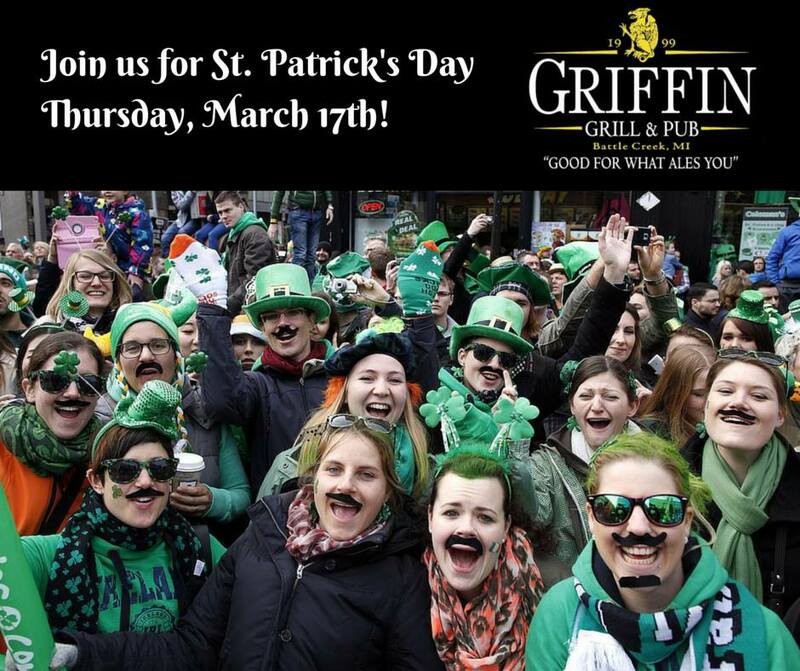 Griffin Irish Pub opened in 1999 and is located in the heart of downtown Battle Creek. Since then, owner Paul Conkey has been serving both quality interpretations of classic dishes and daring new ventures into the uncharted territories of food. Griffin Pub's interior, designed by owner Kathy Schramm, reflects the hip sensibilities of the surrounding area while also paying tribute to Ireland's storied past. The single level restaurant offers the choice to observe passers-by at the front of the restaurant, you can sit out on the patio during the warmer season, or watch the art of cooking as it unfolds in the open-kitchen. 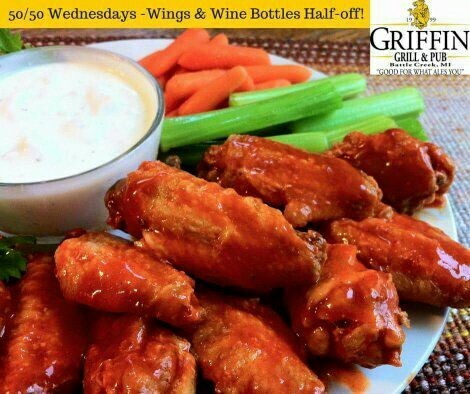 The Griffin has multiple HDTV's throughout the restaurant showing the top sporting events of the day. Two Eggs, Toast & Hash Browns &…6oz. Sizzler Steak. 11.00, 12oz N.Y. Strip Steak. 16.00 or 12oz Ribeye Steak. 17.00. All Selections Include Your Choice of Toast or Hash Browns. Our Pancakes are made from our Secret Buttermilk Recipe that we make fresh daily. *Notice that the consumption of raw or undercooked foods can pose a health risk. 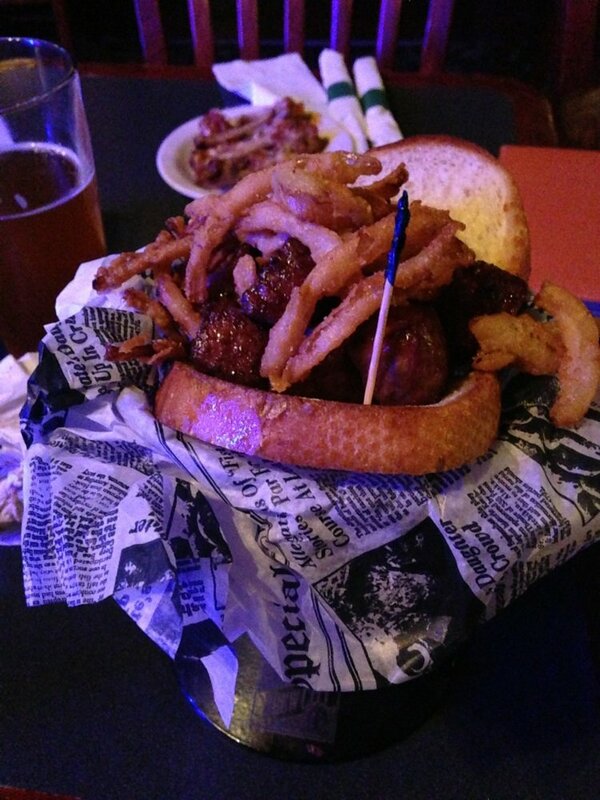 1/2 lbs serving with Fries & Tavern Slaw. Romaine lettuce, Parmesan, home-made croutons and Caesar dressing. Romaine and leaf hearts with spring mix lettuce blend, cucumber, tomato and red onion. A zesty blend of ground beef, tomatoes, beans, onions and spices, qualify this as a Griffin Classic. A creamy blend of Hot Pepper Jack cheese, ham, potatoes and onions make this soup a Griffin favorite. Possible favorites may include Italian Sausage & Lentil, Clam Chowder, Chicken Noodle, Tomato, Chicken Tortilla, White Turkey Chili, Cream of Mushroom, Vegetable Beef Noodle, Chicken Dumpling, Italian Wedding Meatball, Bean & Ham, Hot Pepper Crab, Pumpkin & Roasted Apple and Split Pea & Ham. Ask your server for today’s selections. Blueberries, Apples and Honey. Aged in Bourbon barrels. Mountain Town Brewery has brewed our reciped variety of 3 hops, crystal and caramel malts help to deliver a well-rounded ale with a very floral aroma and smooth finish. Rich amber color, traditional lace and good mouth-feel provide an awesome Session IPA. New England IPA. Designed to accentuate the deep and complex character from the combination of Calypso, Simcoe, Citra and Amarillo hops. Citrus and Tropical notes of Pineapple, Mango and Grapefruit come through in the huge, yet surprisingly delicate aroma. This bold, imperial brown ale gets its body from a team of malts including Caramel malt for sweetness, flaked barley for dense foam, a bit of Chocolate malt for its deep color and Aromatic and Munich malts to add even more depth. A roasty brown ale and a hearty, comforting companion for long, mind-bending winters. Dark American Sour Ale brewed with raspberries. Very dark in color with a red hue and mauve head, this beer smells of fresh fruit, sour raspberries, and a hint of chocolate. Leading with an intense raspberry tartness, FLOAD is complemented with a light chocolate malty backbone. The finish is dry with lingering sourness. American Style IPA. Heavily dry hopped to give it a big aroma of pine and citrus. The flavors are big, yet very balanced between fresh hops and malt. An IPA with intense hop aroma and malt balance. Complex array of malts, grains and hops. Balanced for optimal aromatics and a clean finish. A nod to the spirit of innovation and experimentation that Larry started in 1985 and continues within the brewery to this day. Our latest sour recipe has a refreshingly bright, citrusy tartness combined with pungent tropical aromas. An English Olde Ale, traditionally malty with the warming sensation of alcohol, Olde Ales are brewed in the fall as winter warmers. The crisp character of this lively unfiltered White Ale gets a kick from a bright blend of spring spices. Orange peel and plum add subtle sweetness, while coriander contributes a peppery bite, creating a refreshing flavor that signals spring is on its way. English Pale Ale. Mix with Guinness for the Original Black & Tan. A true Irish Red Ale. Brewed in Dublin, Ireland since 1710. Creamy, malty and slightly sweet flavor with a clean finish. Magnificent aroma, delicate palate of raspberries. Light, creamy head with a dark, rich flavor. Brewed in Dublin, Ireland since 1759. "The" Stout Standard. Rich tones or roast and chocolate. A robust Porter made with chocolate malt and brewed with coffee beans and vanilla. Its crisp, natural tartness is balanced by the addition of raspberries, creating a sour wheat ale that’s light-bodied and refreshing. This pale ale is brewed with fresh blood oranges and blood orange juice that is hand squeezed at the brewery. A light bodied ale brewed with lactose sugar and packed with blueberries. Fresh fruit aroma bursts from this deliciously creamy brew. 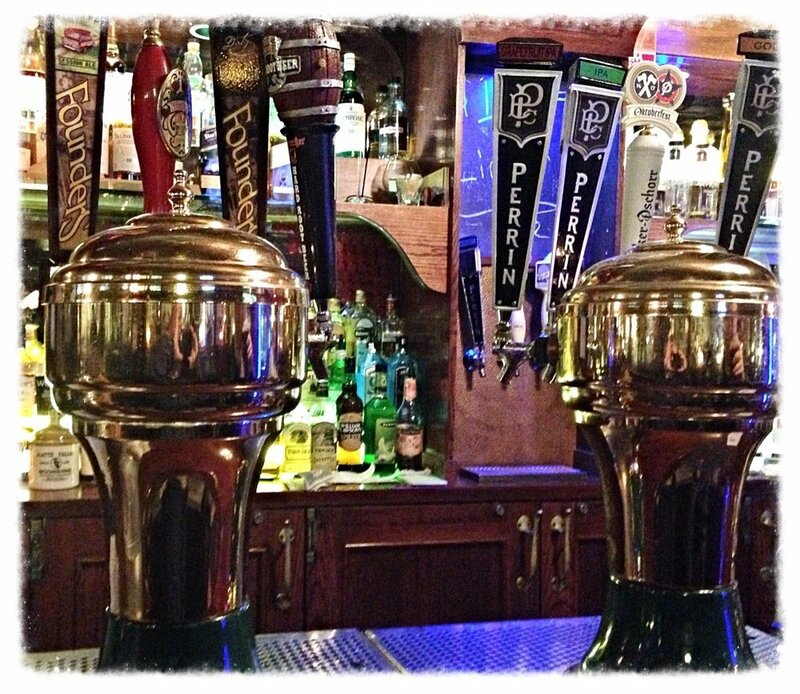 Go ahead and enjoy Michigan fresh in a pint! American-style wheat beer, honey, blood orange zest and puree. White wheat, orange, coriander & lemon peel. Rich Amber with a Refreshingly Sweet Cherry Finish. A mirage of raspberry, blackberry and dewberry emerges in boysenberry. This sweet-tart delicacy matures to a deep maroon then swirls with handpicked apples to form a quenchable yin-yang in Ciderboys Zen Berry. A classic Vienna-style lager with a full body and a smooth finish. With roots from Germany, swagger from Mexico and the finest North American pale and roasted malts, it’s adventurous enough to be distinctly flavorful and pairs particularly well with Mexican cuisine. Blending rich chocolate flavors with fine red wine. A sweet red with cherry and berry flavors. A sweet red with citrus flavors. A dried cherry nose with a silky texture. Plums and blueberries layered with a touch of pepper. Lush fruit flavors with a long, smooth finish. Full-bodied and hearty with cassis flavors. Rich and big, full body with black fruits and spices. Dark fruit flavors with toasty aromas on the nose. Great balance of fruit and tannins. Soft on the palate with a smooth and long finish. Layers of chocolate and vanilla with a rich body. Flavors of mocha, dark fruit and hints of vanilla. Rich, full texture with berry, spicy and cedar flavors. Soft in the mouth with balanced plum and cherry notes. Delicately sweet with a hint of sparkle. Lightly sweet with flavors of pears and apples. A light, sweet wine with pear flavors and mild citrus. Beautifully balanced and refreshingly fruity. Rustic rose with top notes of strawberry & bitter cherry. Fresh and lively with notes of ripe pear on the finish. Flavors of ripe grapefruit, gooseberry and pineapple. Smoked oak flavors meet a crisp, medium finish. Notes of vanilla and toasty oak round out the palate. A perfect blend of fruit, butter and toasty oak. 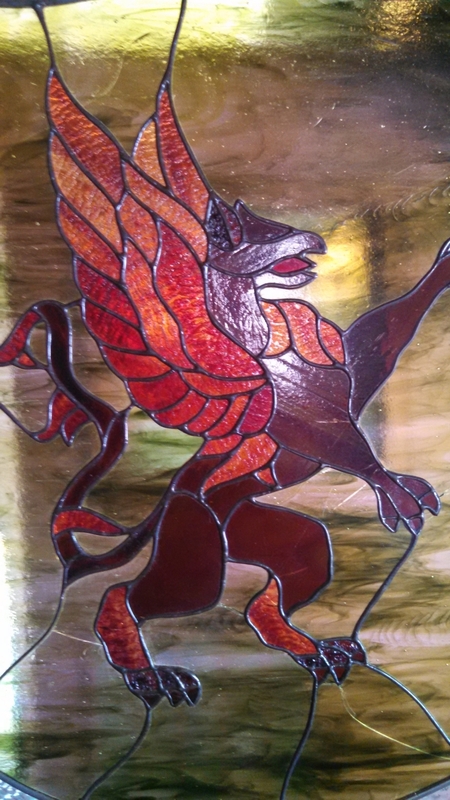 The Griffin honors Michigan’s law for customers to take home re-corked unfinished bottles of wine. How’d I Get to Tijuana & Where is My Bikini? Come enjoy outdoor music, dining and libations.